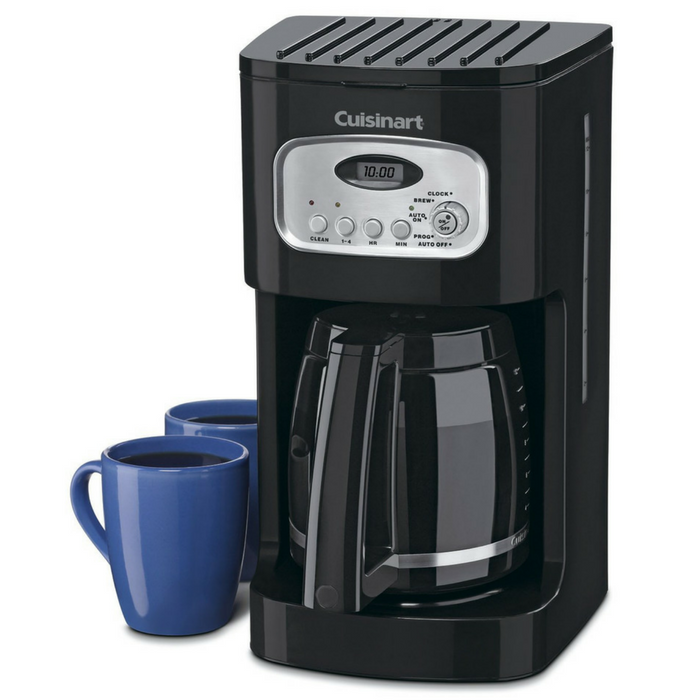 Cuisinart 12-Cup Coffeemaker Just $49.99! Down From $130! PLUS FREE Shipping! You are here: Home / Great Deals / Amazon Deals / Cuisinart 12-Cup Coffeemaker Just $49.99! Down From $130! PLUS FREE Shipping! Amazon offers this amazing deals, especially for coffee lovers! Grab this Cuisinart 12-Cup Programmable Coffeemaker for only $49.99, down from $130.00, PLUS FREE shipping! You’ll love the way your new Cuisinart Classic 12-Cup Programmable Coffeemaker looks on your counter as it’s brewing 12 cups of fabulous coffee. The Cuisinart Classic 12-Cup Programmable Coffeemaker is a statement about how serious you are about your coffee and your kitchen. Enjoy the full programmability, extreme ease of use, and great tasting coffee. The 12-cup carafe features an ergonomic handle, dripless spout and knuckle guard for comfortable, drip-free pouring. Fully automatic, this coffeemaker has 24-hour programmability and 1-4 cup setting for those times when you don’t need a full cup of coffee. Power Loss Back-up System: One-minute protection in case of power fails, breaker trips or unit is unplugged. It holds all programmed information, including the time of day, auto on time and auto off time.